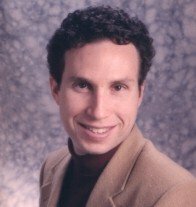 I am featuring the work of Dr Andrew Newberg on this site because he is regarded as one of leading pioneers in the field of neuroscientific study of religious and spiritual experiences, increasingly referred to as – neurotheology. His research work focuses on the nature of religious and spiritual practices and experiences and specifically how brain function is associated with various mental states, especially the relationship between brain function and mystical or religious experiences. Andrew Newberg's work provides some of the compelling evidence for the neurological underpinning of the core theme of this site, namely how to think and how to not think. In my article The "hardware" reasons for why we think the way we do I attempted to introduce you to "why we think the way we do" from the perspective of the physiology and neurology - the "hardware" - of our minds. The relevance of this understanding of the neurology of left-brain/ right-brain balance is that it is the crux of the whole "balanced" or integrated approach to life. When we engage with these meditation practises, all that we are doing is re-shaping or re-programming the physical neurological connections between the left and right lobes of our brains via the corpus-callosum to achieve the lived experience of a physiologically better balanced brain! In my own view, based on the evidence, at the current stage of evolution of the "average" or "normal" human brain - the "left brain" and the "right brain" do not communicate easily or much at all. The same is also true for the "the emotional centre" and "the reptile brain" or the survival instinct). So the evidence suggests that this fundamental lack of brain balance, is the underlying evolutionary and neurological reason why we experience life the way we do and why we all suffer so much, it's also the root cause of our personal internal conflict and inner resistance or immunity to change. At a macro level, it is why as humans we inflict so much appalling suffering on each other. (1) Why we find meditation practises so hard to do with any consistence or very much persistence. (2) Why it takes us so long to derive significant and lasting personal change and benefit from these practises as we are quite literally re-wiring or re-routing the neurological pathways in our brains. And this is why I feel that the use of some form of binaural meditation tool is so very helpful as it makes this "rewiring" process so much easier (just put on the head phones!) and quicker. I have discussed this in more detail and shared my own specific experiences of this in my "Meditation Programme" product review.